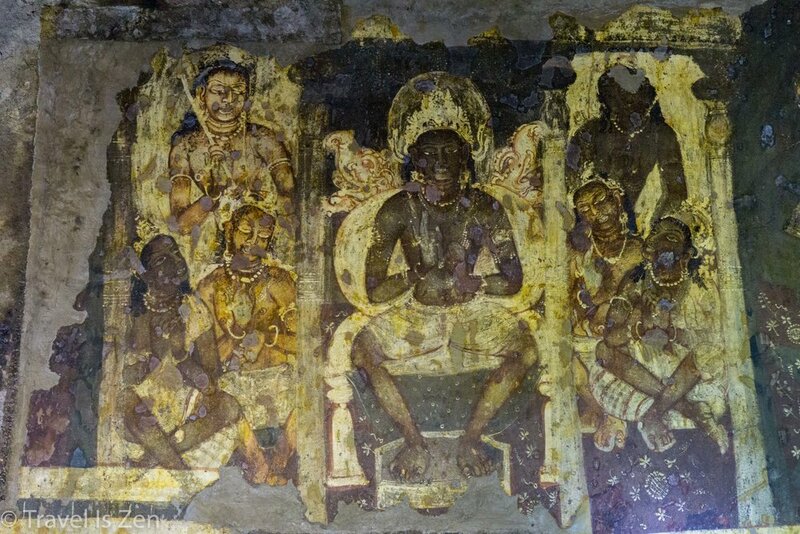 Around the time Jesus was preaching in the Middle East, religious ascetics in Maharashtra province of India were holed up in man-made caves, painting and sculpting devotional masterpieces. 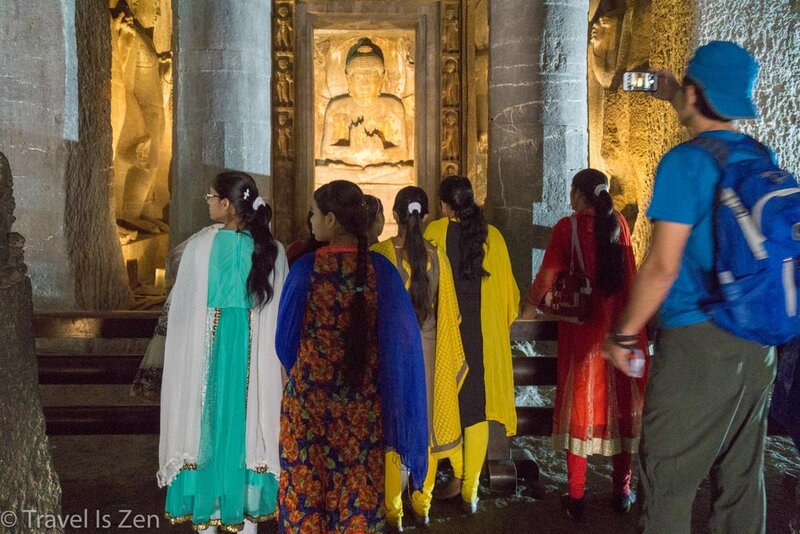 From bare rock over several hundred years, they sculpted temples, column-lined halls, prayer rooms, and Buddhist icons. 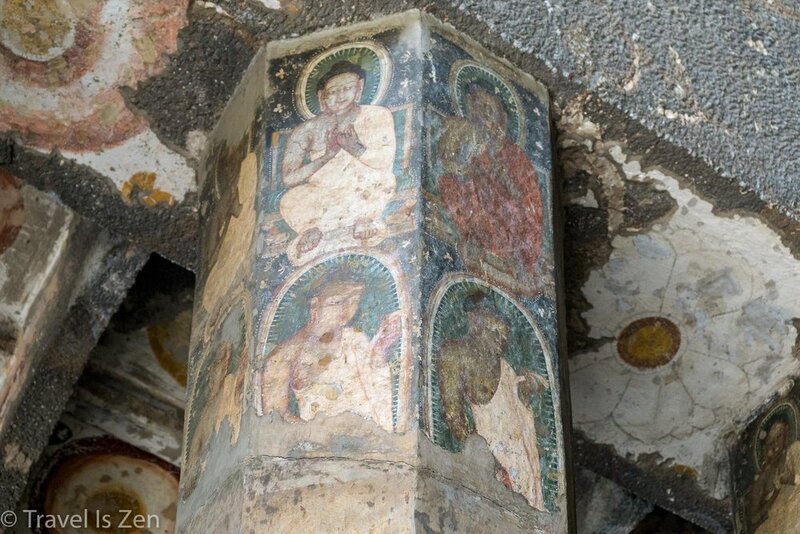 They depicted the Buddha's life and virtues in bold bright colors. They celebrated nature and humanity through whimsical scenes. 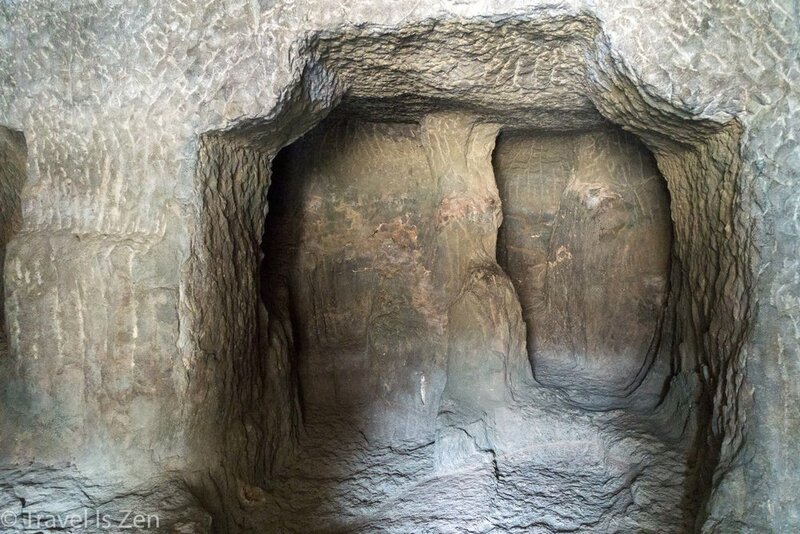 And then the caves were abruptly abandoned around the fifth century, likely due to the loss of merchants' financial support at the end of the Vakataka empire. Nature reclaimed the horseshoe-shaped cliffs above the Waghora River, hiding the anthropological embellishments for over a thousand years. 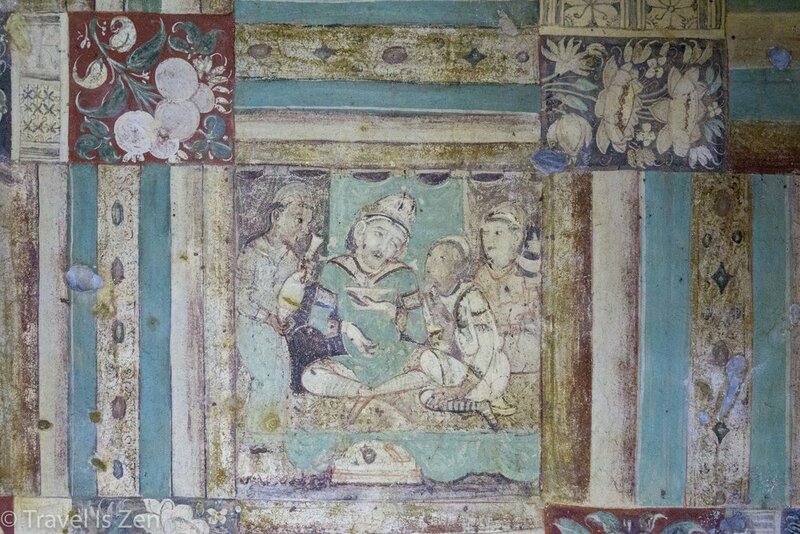 In 1819, a British Cavalry officer rediscovered the 30 caves of Ajanta. 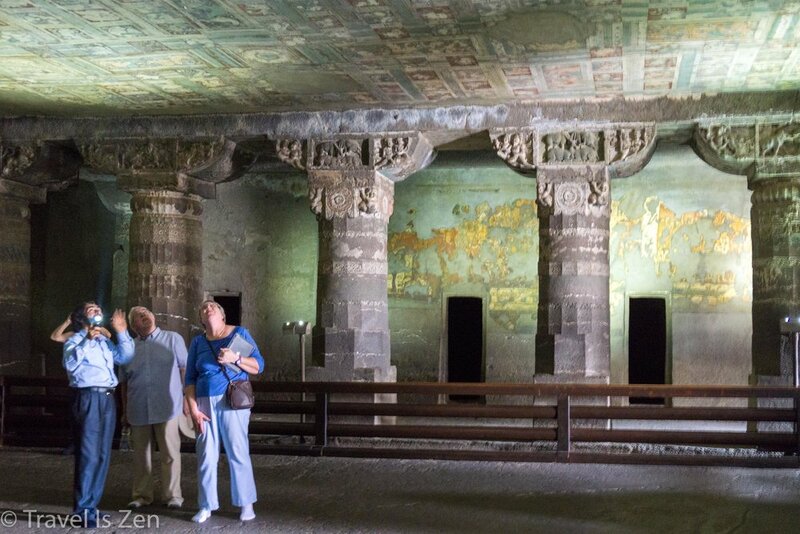 Touring Ajanta is mesmerizing. 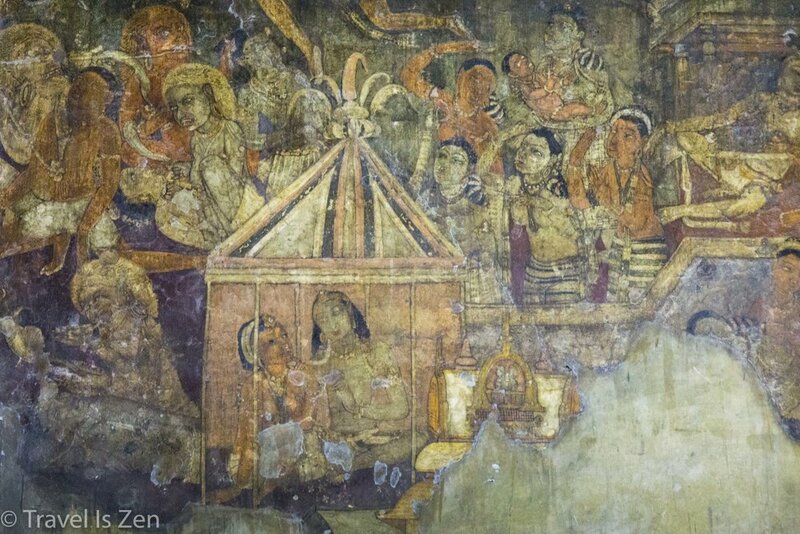 Having been obscured in darkness for centuries, the colorful two thousand year old paintings remain vibrant and the multi-story, stone-carved edifices are still sharp and intricately detailed. 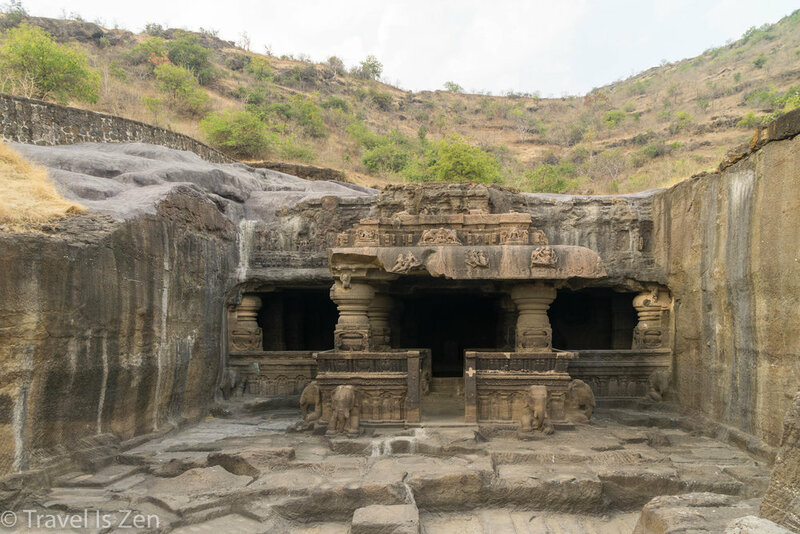 It's hard to imagine the persistence and dedication of these artists, who worked with only rudimentary tools over generations to build and expand this vast temple complex on the side of a cliff! What devotion! 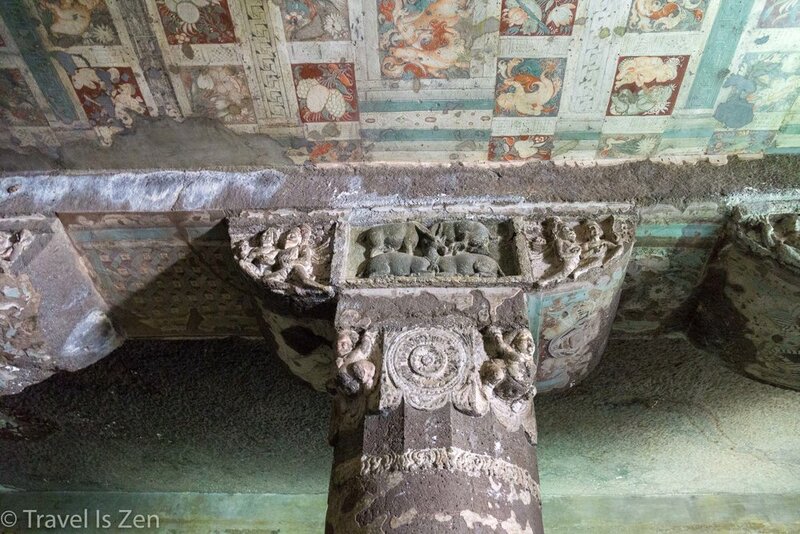 My desire to travel to India started with a picture of the Ellora Caves I had seen in a coffee table photo book. Samir, the owner of the book and my work colleague, told me the entire temple was a single continuous sculpture, hand-hewn from the rock. I had never imagined anything like it... an enormous, intricately-carved work of art! I vowed to see this with my own eyes. 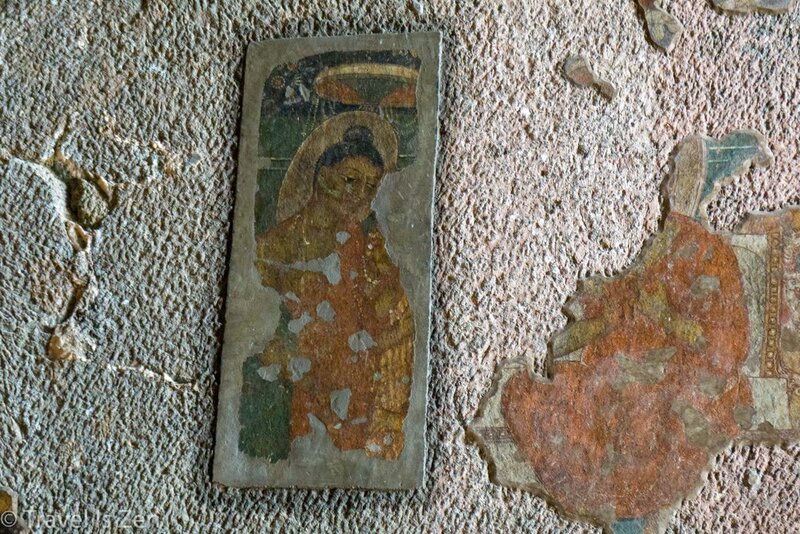 Ellora is about 40 miles from the Ajanta Caves in the opposite direction from Aurangabad, our base in Maharashtra province. Each site takes an entire day to fully explore, so we hired a chauffeur to shuttle us back and forth. 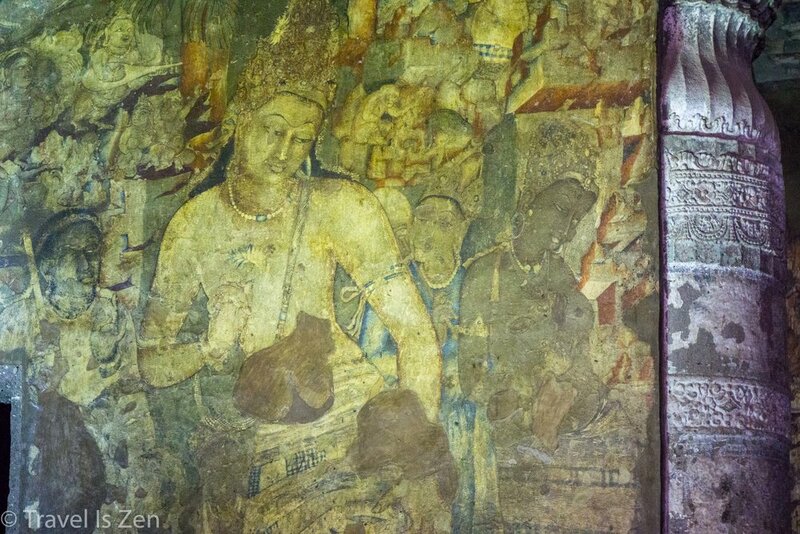 The Ajanta Caves were painted and carved between the last century BC and the sixth century AD. It seems that artistic expression -- and religious allegiance! -- then shifted to Ellora. While you are in the Aurangabad area, don't forget to visit the Daulatabad Fort, a 14th century fort acquired by the Mughals. 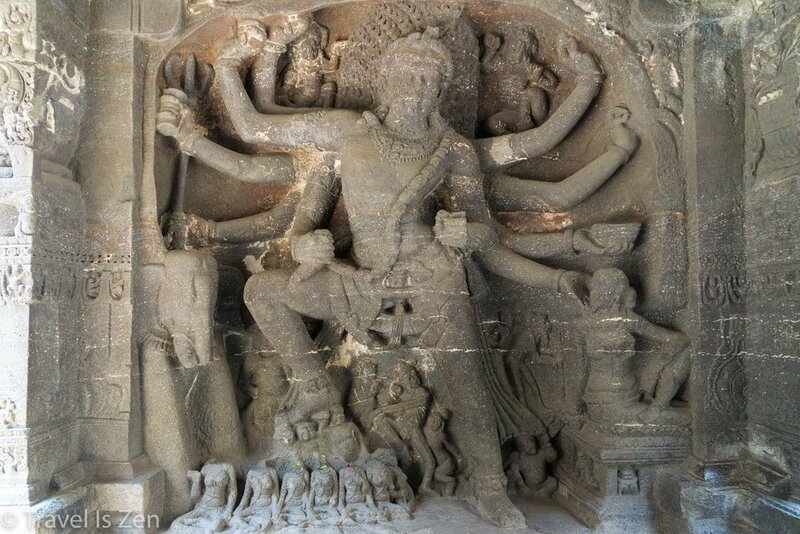 It's on the way to Ellora Caves, so we went to the fort in the morning and then arrived at Ellora by noon. In my opinion, it's worth the extra stop! 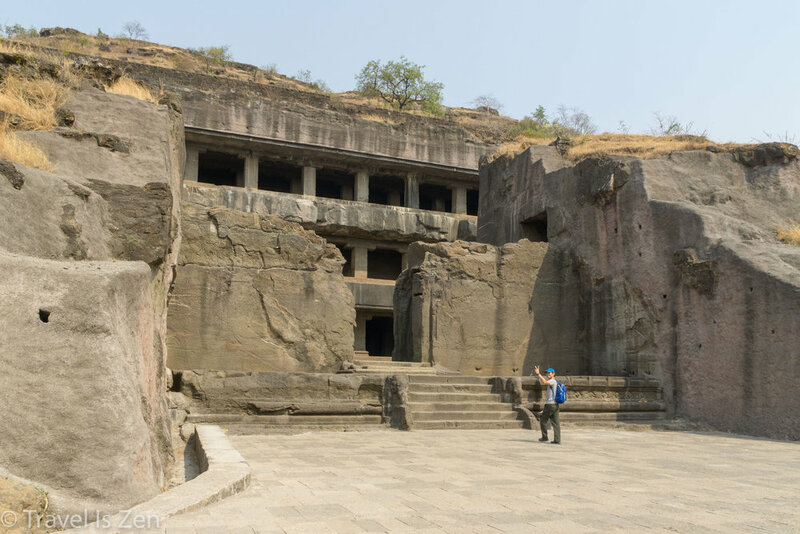 A write-up on Mughal Empire architecture, including the Taj Mahal and Akbar's Tomb, along with how the Mughal's acquired Daulatabad Fort, in this post. If you'd like a brief overview of Indian history, download my short 6-page e-book: A Brief Overview of Indian History: Travelers' Cliffnotes. Like this post or our photos? Please share with friends on social media or leave us a comment! Thanks for stopping by our little corner of the Internet.